Boxing manager Rich Masini announced that welterweight Anthony “Juice” Young has signed a promotional contract with Real Deal Entertainment. 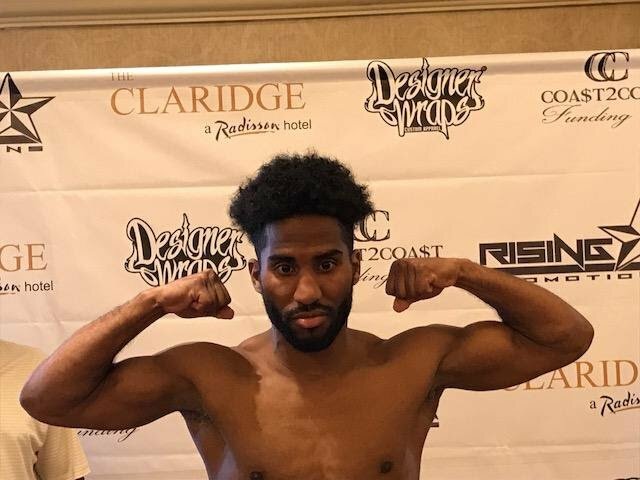 Young (18-2, 6 KOs) of Atlantic City will make his debut under the Real Deal Entertainment banner when he takes on this Saturday night when he takes on Enver Halili (10-1, 3 KOs) in a scheduled eight-round bout at Boardwalk Hall in his hometown of Atlantic City. “I am happy to join Real Deal Boxing. They are an up-and-coming promotion,” said Young. In Halili, Young will be fighting the brother of a former opponent who defeated Young for one of his two defeats. The Atlantic City native is honored and motivated to be performing on Atlantic City Boxing Hall of Fame weekend. Masini, who has managed Young for the last six-years, is excited at the new partnership that he has for his fighter.